YES YES YES it is Bacon Saturday for me and we ARE having bacon – with pancakes…………one of my faves since the bacon tastes EXTRA yummy with just a drip or two of maple syrup on it! WOOT! I wanted to bring you up to date with the shenanigans going on around here with Elfvis………………he’s really making himself at home BUT I really do have to keep a close eye on him………………he’s already up to mischief and it makes me wonder just how SCARY he will be when he gets his magical powers after Thanksgiving…..because that IS what happens you know – Bacon told me so! The other day I heard Mom scream when she went into the Master Bathroom to take a plunge in the Jacuzzi……………….I came flying up to see what was wrong……………THIS is what I saw! See that bit of RED hidden in the green fern? And he had a TINY LITTLE CAMERA with him – good thing Mom saw him before he “SAW” her!!!!! My Mom has a grand collection of pigs in a case in her studio and a few other assorted piggies here and there and when I saw Elfvis like THIS – I figure he’s just trying to show that all elves love pigs – obviously Elfvis had climbed up on Mom’s cabinet and dragged this little piggy down. 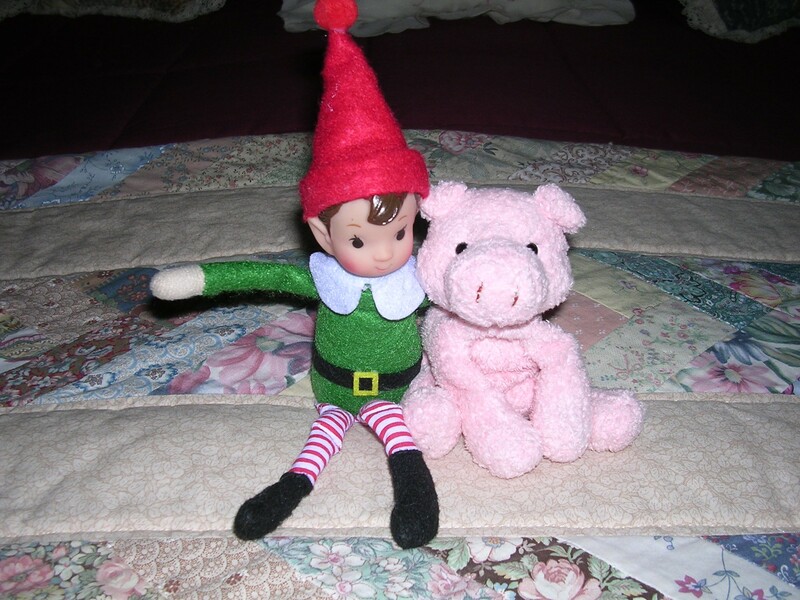 Now you all know I’m too smart to think for one minute that Elfvis is really, truly FRIENDS with Mom’s piggy – he just WANTS us to think he’s “making nice” with the pig…..to get on Mom’s good side……. You can try to get my friend Bacon on your side Elfis by pretending to like Mom’s pig…..FORGET ABOUT IT! I’ve read on other blogs that some of you ALSO received a special elf for the holidays from Bacon……..I do hope your elves are behaving and not MISBEHAVING……at least not yet…..I have to think I’m in for some BIG trouble if Elfvis is already finding things to get into!! 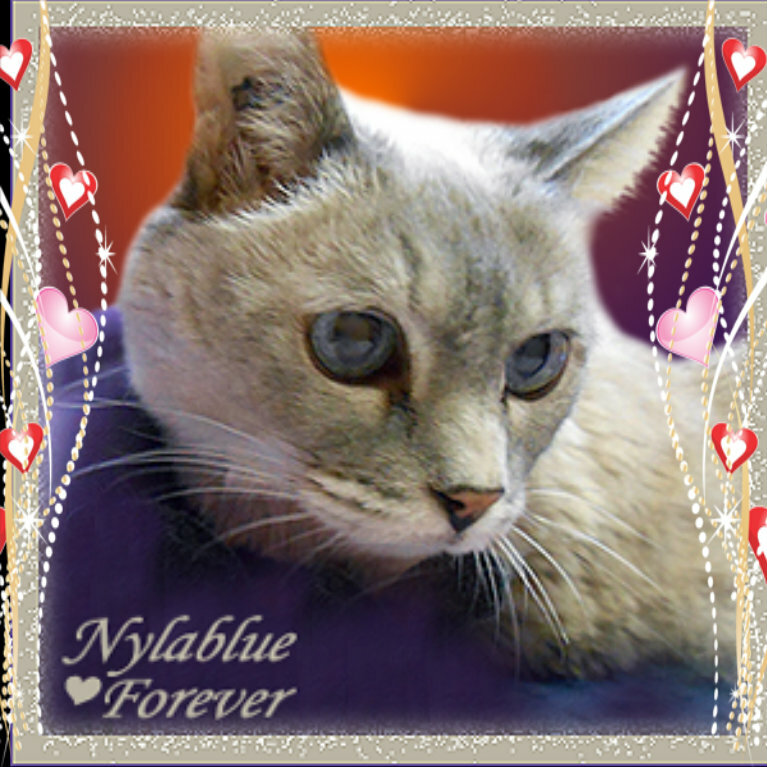 Nylablue is scheduled to leave us all for Summerland…..
…….she may be gone but she will never be forgotten – LOVE is forever! Hope dat Elfvis doesn’t try to steal your bacon. Travis I’m gonna keep a very close eye on Elfvis around the breakfast table believe me…..!! Goodness me the Elfvis is causing no end of excitement in your home Sammy! and he has a spy cam…YIKES!…. We feel as you do Fozziemum…..but Nylablue deserves a rest and a new start in Summerland. She says she will send another kitty to her Mom when the time is right and I’m sure she will. As for Elfvis – imagine what will happen when he gets EVIL after Thanksgiving!!! EEEK! I agree Sammy…our lovely ones always send another sweet soul our way..each one teaching us something different and helping to mend our hearts..she does need a rest..she has battled so long. If that Elf thing came here, Binga would make short work of him! Hi Summer……I’m keeping a close eye on the guy but he’s EVERYWHERE!!!!!! I trust Elfvis is NOT having some of your bacon and pancakes and yum, maple syrup!! That would be taking hospitality too far!! Hi Austin…….oh no Elfvis gets none of MY bacon….if Mom wants to fix him some of his own – fine – but mine is MINE! Yes, our hearts ache for Nylablue and her Mom today but we also know that Nylablue will finally be truly at rest. That guy looks a little too much like a gnome for my taste! Of course he will be trouble. Gnomes are wicked. Watch your back, buddy. Oh I’m watching him alright…..he may have a smile on his FACE but I still don’t trust him at all…..!!! Hi Easy! 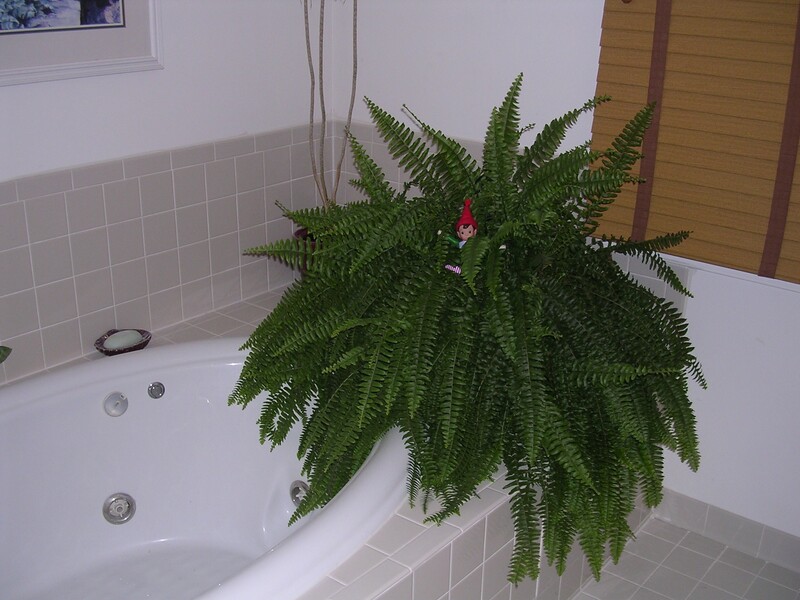 Yes – that Elfvis was hiding in the fern in the bathroom WAITING for Mom but my Mom has caught on to Elfvis’ tricks so THANK HEAVENS she got him OUT of there ASAP!!!! Our hearts are heavy too today for Nylablue and her Mom……..Nylablue says she’s “ready” but I’m sure her Mum is dreading coming home. My Mom has said before that is the WORST feeling ever and she’s had to do that many times as most of our humans have. We are sending love…..and hugs…..and comfort…..and one day ALL of us will be together again in “Summerland”! How’s your Dad doing? I hope you are enjoying taking good care of him at home……….and I hope he’s feeling better every hour of every day!! 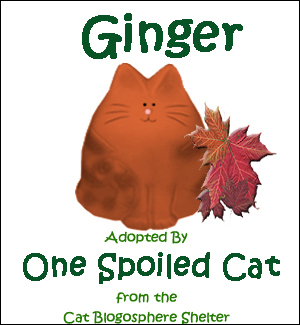 Oh, Sammy, it sounds as though you and your pawrents have your paws and hands full with that Elfvis character! Just imagine what he’ll be up to when he gets his “powers”….! Thanks for keeping us posted, and oh, please keep him up there in Warrenton!! PS….so sad today for Nyla Blue’s family…..
Hi Sundae! I never have to worry about you being warm….you stay inside and cozy all the time. I do enjoy brief (!) visits outside even in the cold – this morning the grass looked like diamonds had been sprinkled on it from the frost……crunchy grass was delicious but I was happy to be back inside with Mom!! STAY WARM DEAR GIRL! We’re so sad for Nylablue and her mom. We still can’t believe her time has come. We were so hoping for a miracle to happen. We’ll never forget about her. She’ll forever be in our hearts. Yes…..we’re sad about Nylablue too but just knowing she will be finally comfortable with no weekly visit to the vet for shots and treatments, makes my heart WARM……right in the spot where I’ll keep memories of her forever in fact. As for Elfvis – I’m keeping a VERY close eye on him believe me….he’s getting into EVERYTHING around here and his “magic” doesn’t even kick in until after Thanksgiving!!!!! 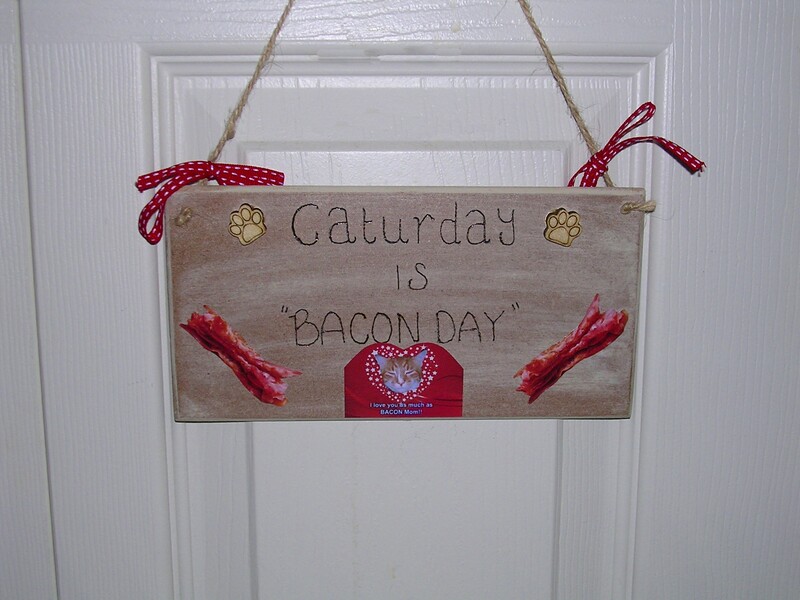 Happy Bacon Caturday Sammy!!!!! That Elfvis is going to wreak havoc at your place I fear! We will be with Sherri-Ellen and Sweet Nylablue in spirit at 2:00pm. I think Elfvis looks like a cool dude and he probably knows where the bacon is stashed. We are all very sad that Nylablue has to leave us, but we understand that she is ready. We send love and hugs to her dear Mum. It’s always a tear jerker when one of us leaves. Very sad news about Nylablue. Elfvis is going to be a handful, you best hope he doesn’t try to blame you for the trouble he makes. Oh we will be watching him CLOSELY believe me. In honor of ‘Bacon Caturday’ me had sum tuna-tuna diz mornin Sammy!!! next Caturday fink of me when ya haz yer bacon okayz??? 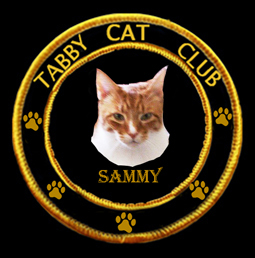 Da mirackle iz me lived fer 18 1/2 monthz longer den xpected….let’z reejoice in dat rite sammy??? Oh Nylablue……never EVER have I seen such an outpouring of love and sadness all rolled into one in the 24 hours since you went to Summerland….all over the blogosphere people are missing you and sharing the love we all had for you………..we are sending all of that love to your Mum as I know her heart is breaking even though she knows you are in a beautiful place and will always be with her (and us). It was a miracle that you got an extra 18 months and I was THRILLED about that………we all were. I saw a bright blue star in the sky this morning Nylablue – just like you said – Mom and I sang “Twinkle Twinkle Little Star” to you……..
Goodness no words after the comment above. I am so sorry Nylablue. Thinking of you and your Mom. Tears. Hi Pix! Nylablue was one of those kitties who had the love of everyone who knew her……….she had so much to deal with in her life and her Mom saved her when she adopted her, then kept “saving” her through the years they had together. She had a lot of illnesses and in the end that sent her to Summerland but now she’s FREE, HEALTHY, young and that makes me HAPPY! Yes, Nylablue was lucky.. her human loved and respected her till the very end. All kitties should be that lucky, they deserve to be loved and respected. I am happy for Nylablue too. She wanted everyone to be happy and not sad…….which is a tall order but we ARE happy that she’s no longer in pain and discomfort………that’s what ALL of us want after all. I did not know Nylablue but her comment brought me to tears. I know that pain as do we all. Yes Katie, we all know that kind of pain but we also know that in our hearts is a little spot where those who leave will ALWAYS be….when we need them the most! Yummy! You sure do love your bacon! I do……I truly can wax poetic when it comes to the joys of crispy, salty bacon……..just a tiny taste…….YUM!!! Bacon AND pancakes – you lucky kitty!!! So sorry about Nylablue. Soft woos and gentle hugs to her family. I am lucky aren’t I ? AND Mom is making bacon again this morning (Sunday) !!!! Oh wow Sammy, Maple syrup. Weez hear dat stuffs weally good. Least dat’s what mommy sez. 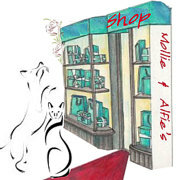 Since we can’t taste sweetness, weez’ll hav to take hers word fur it. At least yous got yous sum bacon. OMC dat elf wuz gunna do naughty naughty fings. So glad yous mommy caught him. Weez very sad ’bout sweet Nylablue too. she will be missed but she will liv in ow hearts furevew. Elfvis is a little devil……I’m having to keep a super close eye on the little guy. Nylablue will be in our hearts forever and always………. 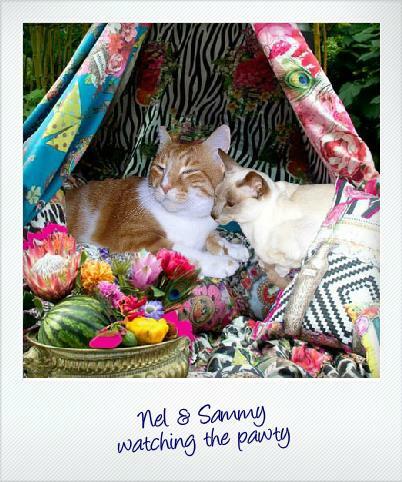 Wow Sammy, glad yous there to keep yous pawents safe fwum dat sneaky elf. Never trust an elf who smiles too much! I am sad that Nylablue has had to leave, but know she is young and healthy again. I agree – elves with smiles are SCARY. I feel like you do Flynn….knowing those who leave us are again young and healthy and truly NOT gone but reside forever in our hearts makes it easier…………. What a character Elfvis is….he seems full of mischief now….what are you going to do when he gets his magical powers? Love the picture of our Nylablue. Glad you like the picture of our Nylablue……..we SOOOOOOOOOOOO miss her already! That Elfvis is a sneaky one, Sammy! Oh he is! He’s very very sneaky! Wow that Elfvis sure is a character. We are really glad you found his little camera. We don’t want any of Elfvis’ video’s to end up on You Tube. I think you better keep your eye on that little guy. Hi Miss Judy…..yes Nylablue had been sick for a very long time and somehow she was able to keep going like the energizer rabbit to keep her Mom company this long. We are happy she’s free at last, in no pain, in endless sun puddles and is keeping an eye on her Mum from Summerland. As for Elfvis – trust me – I’m keeping a CLOSE eye on him! Beware of the Elf on the Shelf – they look innocent…..but looks ARE deceiving! Elfs! Wes don’t knows about elfs but wes has a house brownie (Llewellyn), but thank heavens, he is in Modway with Jo Jo and Kozmo and Daddy. If your Elf gets into as much mischief as Llew, watch out Sammy! PS Mes is so furry sad about Nyla Blue. Mes will miss her furry much! BACON!!!! Gotta have it…….love it……….need it! I’m keeping a very close eye on Elfvis KB Kitties – trust me on that! He’s very sneaky – already!!! 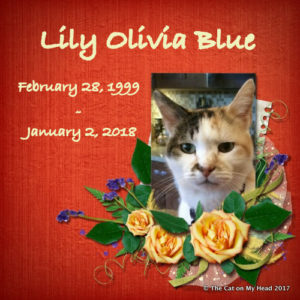 We were very sad yesterday reading Nylablue’s final post but this morning when Mom and I were outside in the dark she looked up in the sky and saw an EXTRA bright star……I think it was Nylablue telling all of us she’s happy, warm, and free………..that makes ME happy. You’d better keep a close eye on your bacon, Sammie. Elfvis may discover he likes that too! I am going to put a special padlock on the bacon draw in the refrigerator!!!!! Sorry to hear about Nylablue. But I’m sure she’s fine up there. We love bacon on ANY day but Sunday is a good one here too Mr. Pit!!!! Oh goodness. Elfvis is going to be a pawful this holiday season. You know one year, Don Juan went into the bathroom and threw skittles into the shower while mom was taking a bath. Evil – shaking piggy head. My heart is so heavy this morning about my sweet girlfriend Nylablue. I had a good cry last night. Today I’m going to celebrate her life and try to do something special for Sherri Ellen. Hi Bacon! Yes I hear you brother on the elves in our houses this year…..I bet they will be more than a paw/hoove-ful and you and I and all the others who have elves better keep a CLOSE EYE on them! If trouble is happening already – imagine what will happen after turkey day! Our hearts are heavy too about Nylablue but like you, we are going to remember Nylablue is in a happy place now and let that warm our hearts because she deserved some rest. Sherri Ellen will need all of us to rally ’round – going back to the apartment had to be just awful. I’ve just visited a number of beautiful tributes to her this morning Bacon – the world is sad……but this morning I’m focusing on the fact that she’s truly and FINALLY at rest………she SOOOOOO deserved that! 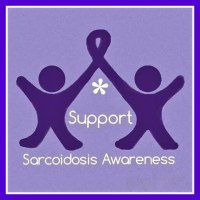 She sure did touch a LOT of lives…..proof of that is all over the blogosphere……….amazing. She did that indeed. I have a posting going out tomorrow for her. I’m working on it now. 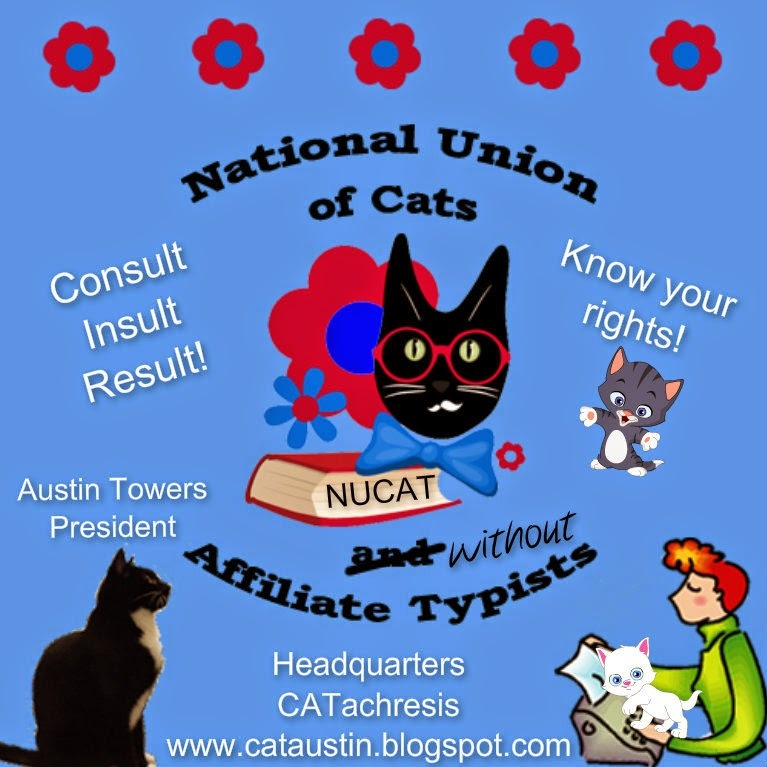 I know who you’re talking about – I read your bloggy and I do think the WORLD needs to be afraid – VERY AFRAID – the elves are taking over the universe!!!!! EEEEEEEK! That Elfvis sure looks sneaky to me!!! Oh he is Misaki…..very sneaky. He truly is going to be a “force to be reckoned with”!! Mom says I’m her “guardian” now and I’m in charge of keeping Elfvis out of stuff which is a HUGE responsibility!!! Sammy, I have no doubt you can handle anything Elfvis comes up with! Well I have to because Mom says he’s MY responsibility! EEEEEK! Have to assume that Elfvis knows that there is one thing beyond his wicked reach – BACON is sacrosanct!